Are You New to the Whole Hearing Aid Experience? One of the biggest questions a new hearing aid wearer needs to consider is what level of technology is right for them? In other words, what level of technology will best suit their listening needs on a daily basis. Focus Hearing now offers the Flex:Trial solution from Unitron, which incorporates exclusive software called ‘Log It All’. 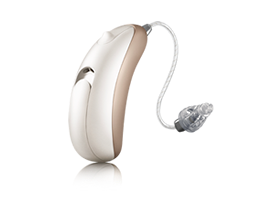 This software captures a comprehensive view of the situations in which you have worn the hearing aids during the trial period. For example, what percentage of time do you spend in up to 7 of the most common listening environments such as Quiet, Conversations In Quiet, Small Group Conversations, Conversations in a Crowd, Conversations In Noise, Noise only and Music. But don’t worry, Log It All does not record the conversations you have, it only remembers the type of environments in which you wore it. But what makes this really unique is, based on the collected information about your individual listening situations the software can make recommendations on which level of technology will best match your lifestyle. No guesses or assumptions, this is a true recommendation.